Sheffield after 5pm comes alive, and we’ve got proof! Whether you get physical at Union St., quizzical at The Showroom or musical at The Wick, the Outdoor City has you covered. Read on to find out what you could be doing after work in the city this week! Don’t forget to use #SheffAfter5 to stay up to date. Ready to get sweaty this Monday with The Happiness Bootcamp? Pop Pilates will help to strengthen your core, tone muscles and get those endorphins pumping! Combining fun with specific toning movements including the dancing dog, rockette bridges and hallow rock, this session is quirky, challenging and most importantly, fun. With no booking needed for these weekly classes, just turn up – it is cash only, however. Click here for more information. “Film clips, soundtracks and picture rounds to test your film knowledge to its very limits.” Showroom will host this month’s free film quiz night on Tuesday, and it has a whole load of tasty prizes up for grabs, including tickets, DVDs, posters and lots more. Sign up at the Showroom bar, or post on the Facebook event page. To celebrate the new collaboration brew between Abbeydale and Brew York – the Grapetini Peach Bellini, The Devonshire Cat is hosting a launch party this Wednesday, where the beer itself will be available to try both on cask and keg. There’ll also be a selection of other beers from both breweries available too. Dig out your old vinyl and head on over to the Wick for a chance to get your hands on a selection of music, from soul, jazz, 50’s rhythm and blues, to techno, hip-hop and funk and loads more genres, in exchange for your old music. Freshen up your vinyl collection and meet like-minded music-lovers while you’re at it! If you would like to reserve a table, message the Wick on Facebook. Throughout August, diners will be able to make use of an exclusive Dine & Discover offer – three tapas dishes for £10 (offer valid Monday-Friday until 10pm) when quoting 'Dine & Discover' when ordering – as part of our focus on the venue. 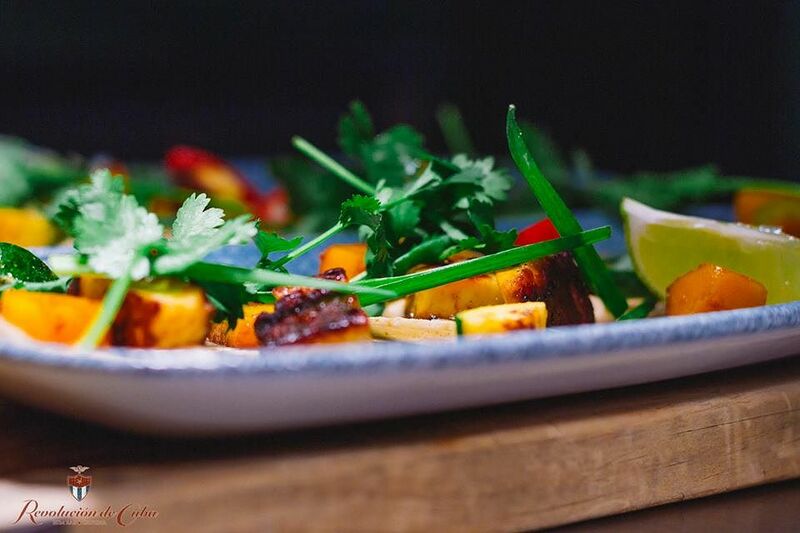 Get yourself down and enjoy fantastic dishes at great value and soak up some chilled-out Cuban vibes listening to some great live music (Revolucion de Cuba run live music five nights a week every week!). Want to get ahead? Book your table here, or call 0114 279 9250.